The first in its class to feature battery-less electronic fuel injection, this 20hp engine gives you easier starts, more responsive acceleration, smoother handling and more fuel efficiency. 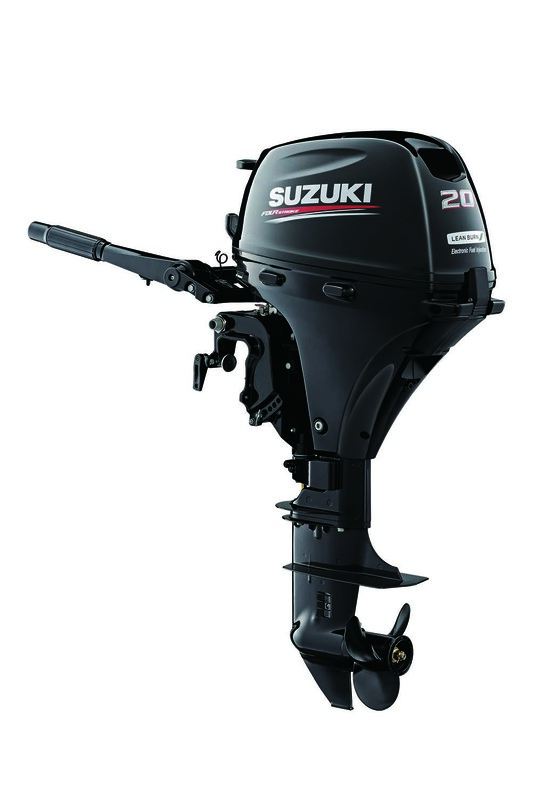 This Suzuki outboard motor comes with a 3-year warranty. This motor goes beautifully with the new versatile fresh- or saltwater Bandit 410 boat, the Bandit 380 or as dual motors to the Bandit 490.